Developing a new version of Android is a serious undertaking, and sometimes little usability issues can be overlooked. 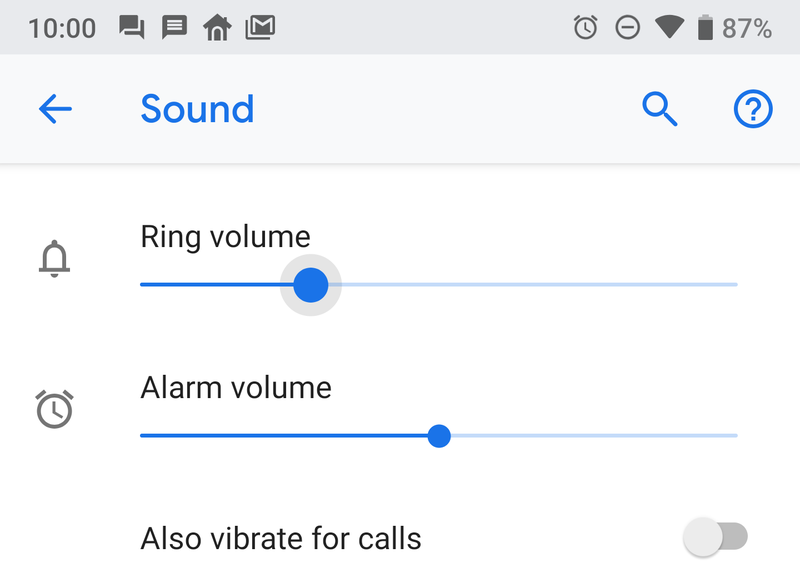 Case in point: you cannot change the ringer volume in Android 9 without making noise. Yeesh. Thankfully, Google is aware of the issue, and a fix is incoming soon. In Pie, the volume rocker on your phone changes the media volume, plus there's an on-screen toggle for the ringer mode. However, the only place to change the volume of the ringer is the settings page. Each time you move that slider, the ringer sounds to demonstrate the volume level you've chosen. That's annoying even if there's no one around to glare at you. Someone added this to the issue tracker in early August, and Google took note just a day later. At first, Google promised to consider a change in an upcoming release, which wasn't very encouraging. As of September 24th, Google added to the thread to say that a fix was coming in "a future Android release." With the October event just around the corner, it's possible we'll see a feature update to Pie with the ringer fix.